The middle game is where a game of go is most often decided. Being strong at the opening will give you an advantage, and accurate reading and calculation in the endgame can gain you many points; but excelling at the middle game is the surest way to victory. 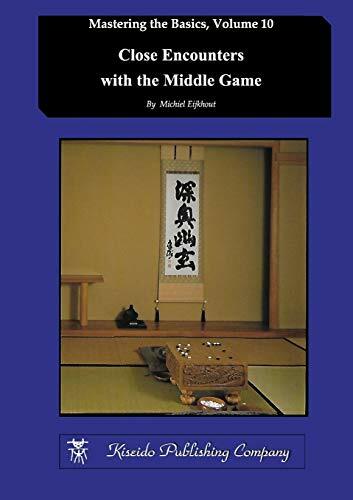 This book presents 32 crucial middle-game positions that arose in top professional games. It focuses on making clear what purpose is served by the moves played and which strategic considerations are at play. It tries to answer a question many amateurs may ask: Why do professionals play where they do? Every position is discussed in detail, explaining what goes on in the minds of the players, showing the moves that are good, bad, or hard to judge. It makes for an entertaining journey through the realm of professional go and also gives an insight in what lies beneath many professional moves that at first may look strange. Michiel Eijkhout has been one of the top Dutch go players for more than thirty years, reaching 6-dan in 2001. He represented the Netherlands at the World Amateur Championship in 1994 and 2001 and participated with his partner Yvonne Roelofs in the International Amateur Pair Go Championship in 2001 and 2011. He was the chief editor for the Dutch Go Magazine for five years and has been a regular contributor to it for decades. He can be contacted at mekt289@gmail.com.